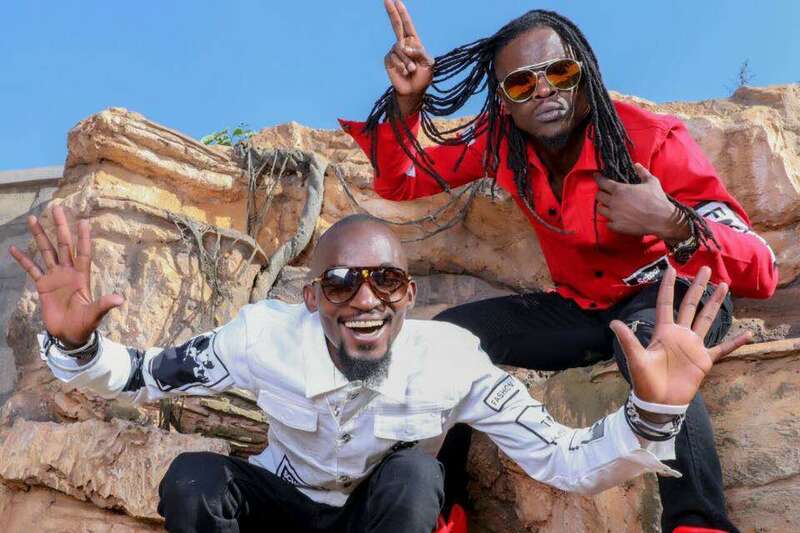 Mowzey Radio (left) and singing partner Douglas Mayanja aka Weasal. 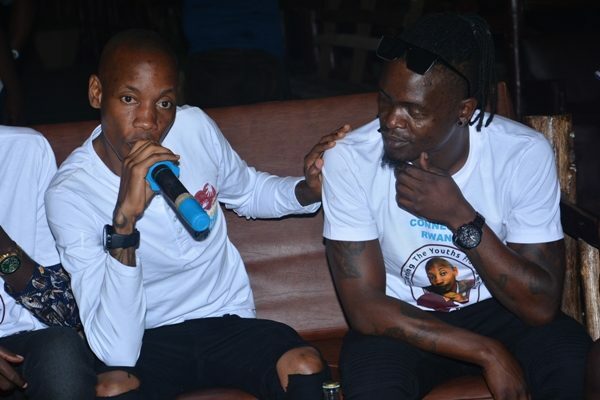 Over a month since music icon Moses Ssekibogo, better known as Mowzey Radio passed on, his singing partner Douglas Mayanja, aka Weasel is struggling to find footing on his own and also to give direction to their Goodlyfe Crew. Speculation was rife at the time of Radio’s death on whether Weasel as an artist can do it solo. He came out on various social media platforms, assuring Goodlyfe fans that he was already about to release a number of hits. Weasel told journalists then that he was ready to prove people wrong who thought Radio had died with his music career. The two were together under the Goodlyfe Crew since 2008 wowing crowds and filling up shows for all the years they have rocked the music industry. “If one soldier is gone, it doesn’t stop other soldiers from firing more bullets. You should expect more fire from me. I am a ragga artiste. I am now angrier to give even better music to make Radio happy wherever he has gone,” he told a local newspaper then. Talk is that Radio took the lead in decision making as well as writing all songs and many would say this is why it would take Weasel a while to stand on his own as a solo artist. PML Daily talked to music critics about whether Weasel’s latest actions which include hanging around socialite Bryan White are actions of a man finding footing or of a lost soul. Music critic Joseph Batte thinks Weasel will only stand if he get a new singing partner. Joseph Bate, one of Uganda ‘s music critics said: “Radio and Weasel had created something similar to Chakademus and Pliers, but what they had different is that Weasel only complimented Radio by rapping on their songs and Radio could do well as a solo artist and still command the crowd which Weasel cannot do! Isaac Katende believes Weasel rushed into releasing music again. 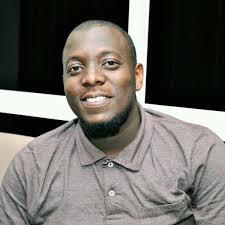 Kasuku also said sometimes Ugandan artistes get wrong advice from friends who think everything that gets media attention requires for you to put out a new song. Other artists in the music industry were hesitant to comment saying it would create tension between them and Weasel or other artistes but most said he rushed to put out music. He should have taken time off to mourn Radio and also try to learn a few things first. Well, you wouldn’t also rule out the Brian White effect. Weasel has been seen out with the socialite since Radio was still bed ridden at Case Clinic. The two were signed to the Brian White foundation alongside other artistes like Cindy, Spice Diana, among others. Weasel has failed to perform at booked shows, case in point is a show in Busia for which his former manager Chagga was reportedly paid Shs3m for two shows and Weasel failed to perform saying he was still mourning his brother. To the contrary though, the same person has been seen performing at events organised by the foundation. Will joining the Brian White Foundation make or break Weasel? Fans were irked by a recent photo of Weasel carrying a sack of food that was being donated by Brian White in Mbarara, social media went awash with criticism, with many saying Weasel has allowed Brian White treat him like a beggar. At the Mbarara function, Brian White snapped at Weasel in public saying no one should ever leave the Podium before he (White) is done speaking. We are left to see how far this partnership will go as we watch Weasel’s solo music journey.